I’m very pleased to introduce the first Featured Business “mompreneur,” Sarah Thacker, founder of Sarah Thacker Adoption Coaching and Consulting Services, www.sarahthacker.com. I recently had the privilege of participating with Sarah in a coaching program. Though we’ve yet to meet each other in person, I can confidently say that the world could use more people like Sarah. She’s smart, generous, dedicated to family, and passionate about her business. 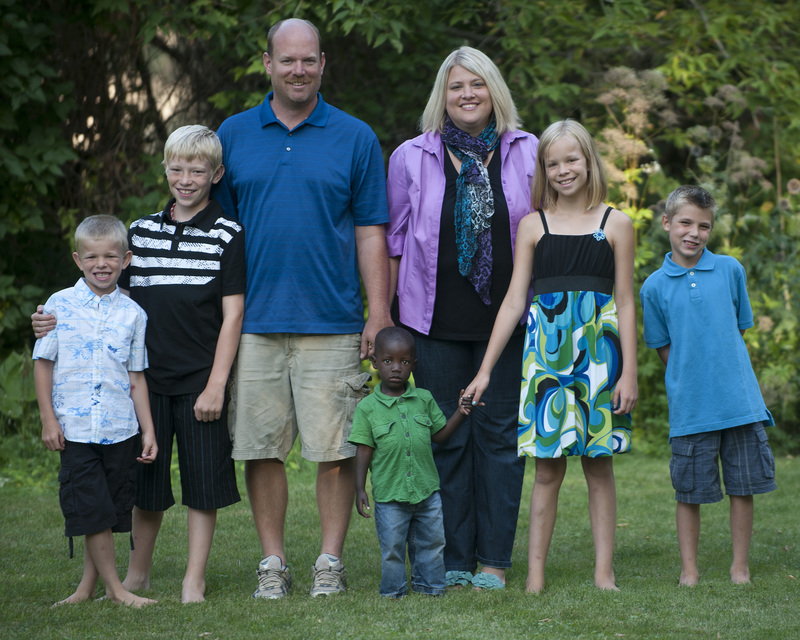 Sarah is uniquely situated to help prospective adoptive parents because she has been through the process twice: she adopted from the US foster system, and later, from abroad. Both avenues are filled with challenges that don’t necessarily mirror one another. Sarah knows the ropes, and is ready to assist other parents on their journey. Q. What brought you and your family to adoption—twice? A. A lot of things, really! One of the biggest factors was when our oldest son was in first grade, there was a boy, Kaden, in his class whose dad was already in jail and his mom was headed for jail. Through a series of events, we agreed to have him live with us for several months. Kaden helped us realize that we could love a child that was not born to us. After a trip to El Salvador and Honduras doing relief work, we realized that there were so many children needing homes; we just needed to go for it. 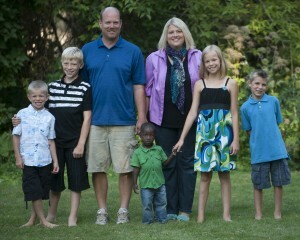 The first time we adopted from the US foster system and the second time from Haiti. Q. What was the inspiration behind starting Sarah Thacker Adoption Coaching and Consulting Services? A. There is a misconception in the world that once a child is placed in a loving family that there is a fairytale ending, that love is enough. That isn’t true. Adopting is hard work, especially when the children aren’t babies. I read on various blogs and saw first hand in my circle of adoptive friends that many parents were struggling with attaching with their new child, and were confused about how to help their child heal. I’m not a therapist, but a coach: someone to cheer parents on, help them examine their feelings, find the resources they need, and push for a better future. Q. According to your clients—and your experience, of course—what is the greatest challenge in the adoption journey? A. There are two main things: People who haven’t adopted yet say their biggest challenge is finances. I agree that there needs to be some reform in adoption regarding finances. I also believe that when there is a will, there is a way. It also costs near nothing to adopt from foster care! Also, people who have already brought their children home, state that helping their child heal from their past is a very real challenge. Q. Tell us about your upcoming Adoption Discovery Class. Who did you have in mind when you designed the course? A. I have a fantastic mentor, Jen Powter (www.jenpowter.com) who helped me get my business going with a blast! She taught me so much about launching my business, all in six weeks time. I’ve put the information to use and I feel really good about where things are headed. She mentioned in her class that she was teaching us in six weeks what it took her one and a half years to learn. We were on the fast track. I took that to heart and realized that I wanted to teach people in a few weeks, everything I had learned about adoption. There are over 144 million orphans in this world, and the numbers aren’t going down. I wanted to be able to offer a fast-track to adoption class. I want to get people the information they need to make an informed decision and to inspire them about the possibilities. Q. You have five kids ages 11-3…I don’t even need to ask how busy you are! What’s your strategy for balancing work and home? Specifically, how do you create the time to grow your business amid all the other demands on your time? A. Balancing work and home is something that I am constantly working on! I think one of the keys for me is to be fully present in whatever I’m doing at the time. If my kids are home and I’m spending time with them, I really try to listen to them, to be attentive, to meet their needs. If I’m working on my business, I really try to shut out the outside world and give my business my full attention. That is easier said than done! Since I have a limited time to work on my business, I try to be very intentional about what I work on, trying to focus on things that will really grow my business. I’d love to have an entire full day to work on my business, but the reality is that I sneak pieces here and there, usually in the early morning hours, during naptime, and late at night. And while I’d like to work on my business more, because I love what I do, my kids will only be 11, 10, 9, 7, and 3 this year, and I don’t want to miss a thing. I wouldn’t have had so many kids if I didn’t absolutely love being a mom!